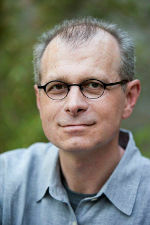 João Biehl, the Susan Dod Brown Professor of Anthropology, has been selected to receive the 2013 J.I. Staley Prize for his book “Vita: Life in a Zone of Social Abandonment.” The prize is given annually by the School for Advanced Research for a book that represents the best writing and scholarship in anthropology. The Staley Prize panel called the work “a landmark of anthropological writing, humanizing in the most literal sense.” Biehl, who also co-directs the Program in Global Health and Health Policy, will receive the prize, which is accompanied by a $10,000 award, on Nov. 21 at the meetings of American Anthropological Association in Chicago.